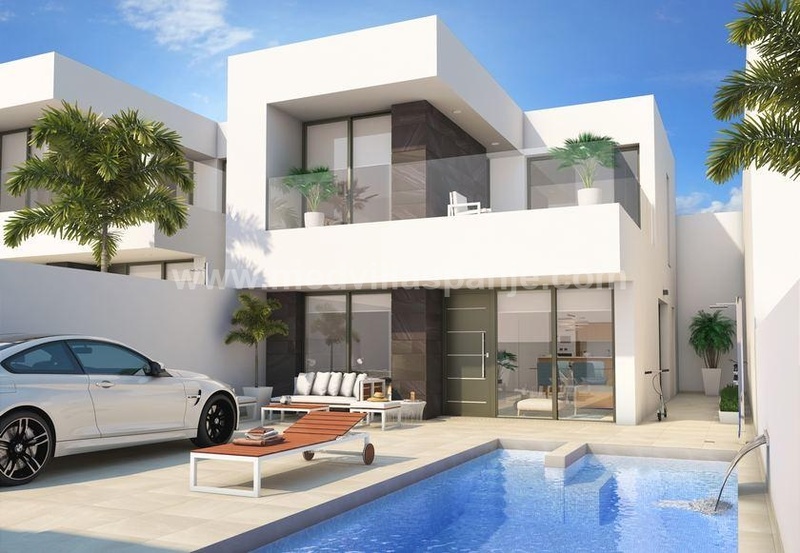 New modern villa in Aspe, inland Alicante, Costa Blanca South, Spain. We just finished the showhouse, come and see it soon. This newly built Aspe Villas are built to the highest standard with a modern design villa, plenty of light thanks to the three large French doors of the lounge / dining room overlooking the pool and landscaped garden.